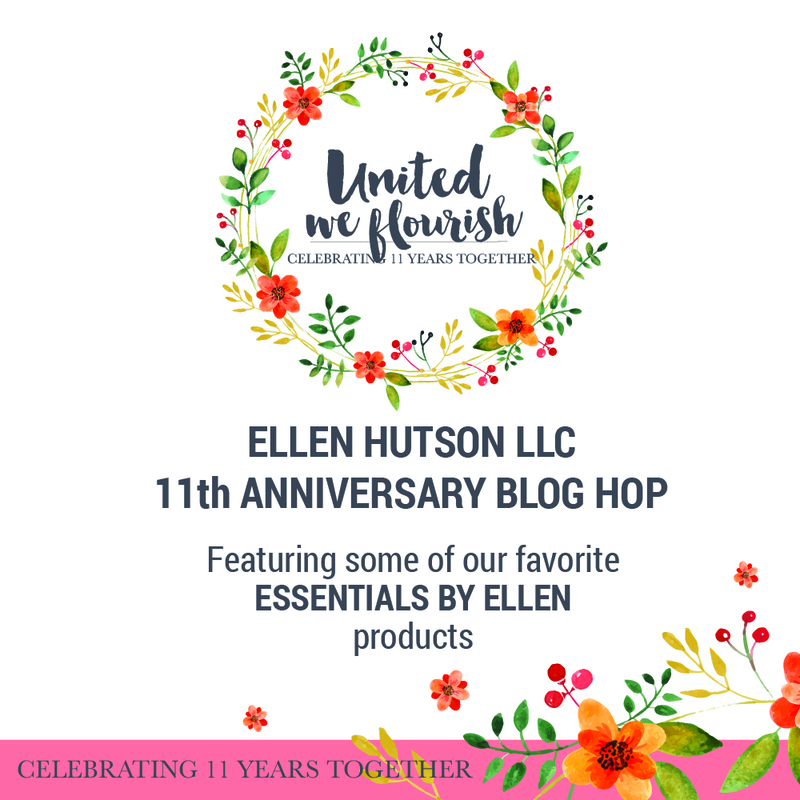 I'm so excited to be joining the Ellen Hutson blog hop today to celebrate eleven amazing years. Ellen always tells me that what she wants most is to bring people joy, and I think that it's clear she's making that happen. Not only does she provide us all with a shop full of incredible products to help make our lives more creative and colorful, but she employees, collaborates with, and empowers women every day. She's always looking for ways to grow and give back, to help others achieve their dreams, and to remind us, through kindness and comedy (she's so funny!) that we can do this, whether we're working on a card for a friend, ticking away at our big dream lists, or just trying to get out of bed when we know the coffee is still what feels like miles away in our homes. With her thoughtful heroics in mind, I just had to give my beloved little Crafty Lady a cape, paired with a sentiment that describes not only Ellen, but all those women whose lives she touches: Strong and Brave! Born of a very resourceful creative lady myself, I made that tiny cape out of a scrap I kept when I hemmed up some curtains last year. I did cut up the sides of the lady's neck a bit to have the cape fit behind it, which was easy peasy, but be careful - it's very easy to accidentally decapitate this lady (she's not a fan of that, trust me). It's nothing fancy, but this simple little card is just my style, which is why I knew it was the right one to use to celebrate this amazing life of Ellen's business so far, because she's a champion of us all having fun, being creative, and most of all, being ourselves. Now that's my kind of super lady. The Crafty Lady is great with her paints and pens, but she's pretty stellar with a cape, too. Now it's time to keep hopping! Head over and visit the talented Sandy Allnock for more inspiration!